The No Game No Life franchise returns to the UK in an all new feature-length-film known as No Game No Life Zero; this time acting as a prelude to the events of the original series. What can one expect from this DVD release of No Game No Life Zero? Find out in our review. 6,000 years before Sora and Shiro rocked the world of Disboard, black rain falls from the sky and multiple species fight a desperate battle for survival. Constantly caught in the crossfire between the more powerful magical races, Humanity is on the edge of extinction, always on the retreat. But amidst the chaos and destruction, one young man, Riku, has a vision of a better future. And the first step towards achieving that goal comes in a dead city, where he encounters Schwi, an exiled female android who seeks to know one thing: what it is to have a human heart. Building on the foundations of the original story, No Game No Life Zero takes us back to the world of Disboard before Sora and Shiro’s arrival; a world that is vastly different and in constant war over territorial rights to the land and the different races that inhabit it. This isn’t the world of No Game No Life that you remember; but at the same time it offers some familiar faces and similar character appearances. It’s an interesting story but sadly it’s overshadow by the on-screen romance of the two main characters and notable highlights from the original story are lost in this feature-length-film. No Game No Life Zero is the prequel movie to No Game No Life with small portions of the film, such as the introduction and ending, taking place during No Game No Life’s main story. In this case Tet, the god of Disboard, and Izuna Hatsuse, a former werebeast ambassador, discuss rumours about the previous world of Disboard and how one human brought peace to the world. This introduction quickly segue’s into the films story of how Riku, the leader of the humans, fought against other races in a battle to see who would become the one true god of Disboard. Let it be known that this story of war is dark and twisted; with Riku having to command other people to die so that others may live on – it’s desperation and shows that the humans are fighting for survival. This desperate struggle for survival seems unwinnable until Riku, while scouting a previously raided Elvish hideout, encounters the Ex-Machina unit – later named Schwi. Ex-machina units in this time frame usually work in groups with no human emotions; but for Schwi she wishes to discover what it means to have a Human heart and as such she partners with Riku. It’s at this point that the desperate struggle that overshadowed the starting point of the film quickly fades away as over time Schwi and Riku begin to form a bond; a bond similar to that of Sora and Shiro but even more so as the pair begin to love one another – despite the fact that Schwi is a robot. This aside Riku uses Schwi to create a plan whereby they will lure different races to set points within the world so that they could call out the piece that will grant them victory. In short; it’s one big game of Chess – with Riku and Schwi strategically working with one another, as well as other humans, to achieve the best possible outcome and obtain a reset for the world. How is this achieved? Through the use of rules that Riku’s secret human group must follow – and it’s the same rules that later form the basis of the world that Sora and Shiro inhabit within No Game No Life. 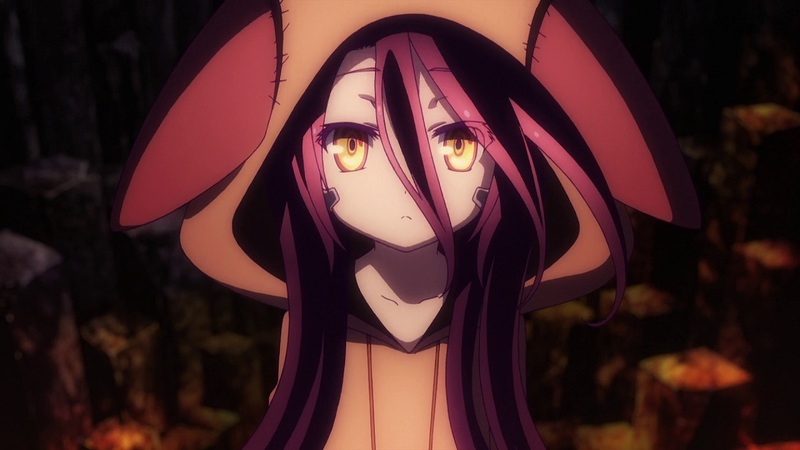 Spoilers aside the story drags along at a snail’s pace and the ‘intense strategic battles’ featured within the No Game No Life series are nowhere to be found; instead it’s one man’s objective of obtaining peace for the world so that humans (as well as everyone else) can live in harmony with the rules that he has created. 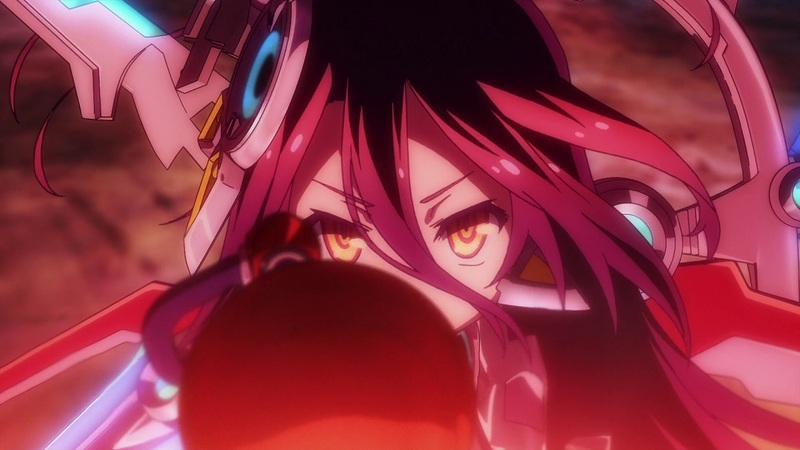 Although the pacing of events for this story left me with more to be desired the portrayal of the characters, namely Riku and Schwi, were exceptionally as we saw these character grow on screen – so much so that Schwi goes beyond her normal parameters to engage with Jibril in an explosive fight between magic and machinery. 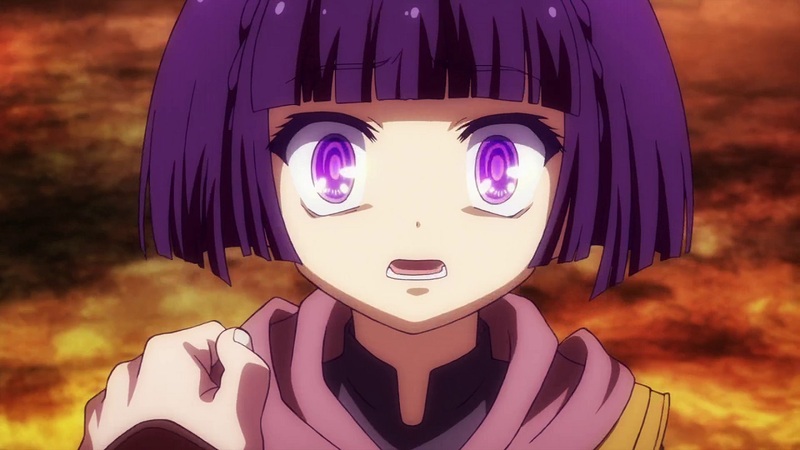 It’s not just Riku and Schwi’s own personality we get to explore either; as long-time-friend Corounne Dola – who is related to Stephanie in No Game No Life – even has her personality developed on screen despite the fact she doesn’t make much of an appearance for most of the film other than for quick ‘comedic’ fan-service jokes between Riku and Schwi. From a progressive story perspective No Game No Life Zero isn’t exactly a good film as while it does the job of explaining the events of the past to present members of Disboard its focus is mainly spent of the bond between the characters and the troubles they have to overcome. Elements that made No Game No Life Zero great are sadly not here and Riku, Schwi and Corounne are simply the ‘past’ variations of Sora, Shiro and Stephanie. It’s interesting for sure; but is it exciting and entertaining? Not so much; but it does allow us to see a form of No Game No Life that we haven’t seen before. Once again MVM Entertainment have opted to use disc masters produced by Sentai Filmworks and as such this DVD release is presented in a similar manner to the North American release with NTSC video quality, yellow subtitles and a small selection of bonus content. 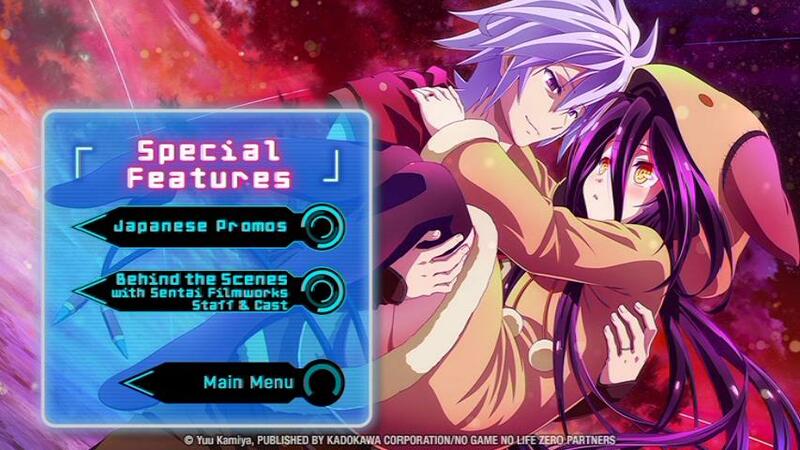 In this case viewers will find Japanese promotional videos, of which were used to promote the film in Japan, and more surprisingly some North American produced content in the form of Behind The Scenes Documentary Video for No Game No Life Zero. All of these are surprising additions as Sentai Filmworks are known for being relatively barebones with additions usually simplified to textless songs and trailers; but the behind the scenes documentary and recap sequence do add some additional depth to this release. In this case the behind the scenes video takes a look at production from the English Dubbing perspective with ADR Directors and the voice cast providing thoughts and opinions on the film as well as what it was like working on the project. This supplementary feature is a unique experiences and is not something we usually see. Naturally fans of Japanese subbed only products might not be interested in these features; but they are worthwhile additions and gives us a better insight to those localising and producing the product for English auidiences. 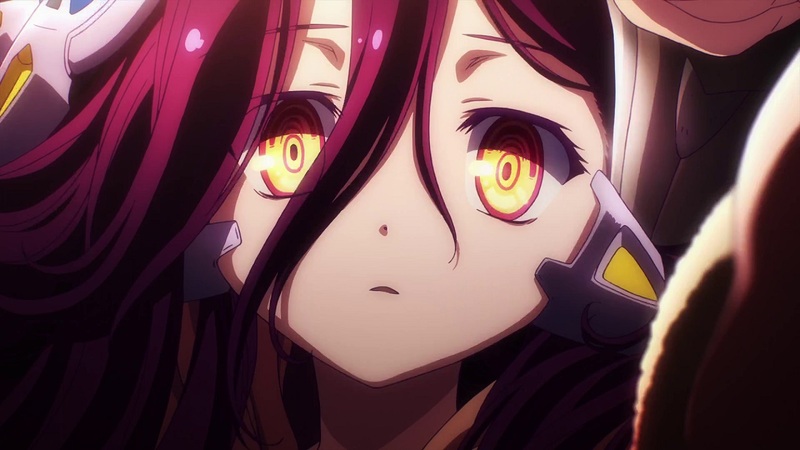 It goes without saying that No Game No Life Zero is the prequel to the events of No Game No Life but in actuality the film begins and ends during (or after) the events of No Game No Life; as the film is merely a telling of events that happened in the past from the perspective of Tet, the seemingly god of Disboard. 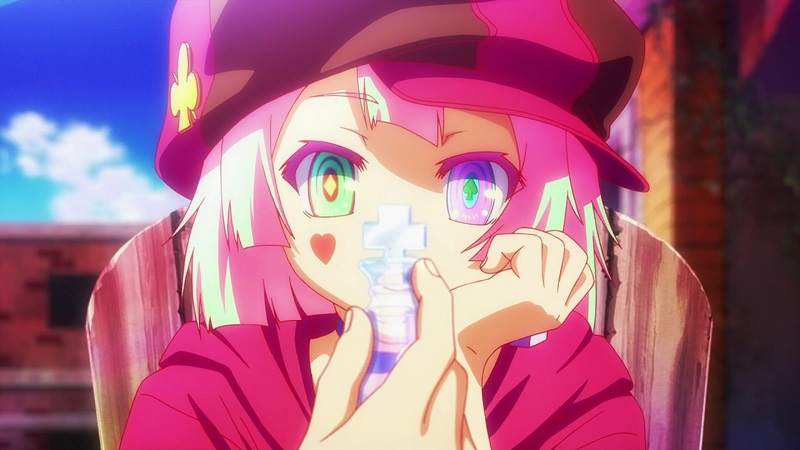 Tet is a character we see throughout No Game No Life Zero, albeit invisible, and *SPOILER* Tet is the one who succeeds in making Riku’s vision a reality*END SPOILER*. In some aspects it’s one big flashback, but it is viewed from the perspective of Riku and the difficulties he has to overcome in order to make his vision a reality. In this case Riku is the leader of a group of humans, seemingly the last humans within Disboard, and despite constant loosing battles with other races – as well as hiding away from magic users and machines – he finds the will to move forward. This eventually leads him to a single Ex-Machina unit later named as Schwi. 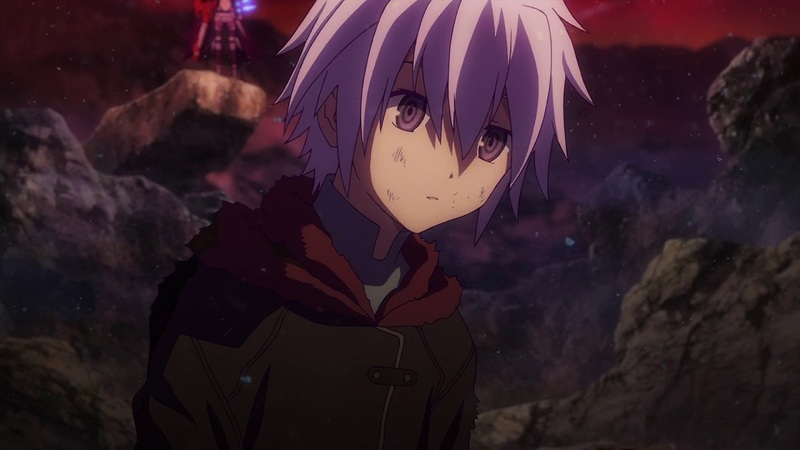 After some – rather comical – bonding moments Riku and Schwi formulate a plan that will see the humans rise above the other races in order to claim the item that will reshape the world; and as such this ‘strategic’ battle begins. Sadly we don’t really see these strategic elements play out in full force as instead the focus is left on Riku and Schwi’s developing relationship – but as we move on Riku’s plan does comes to fruition. No Game No Life Zero starts off as an inventive and engaging film but in reality it is quite a shallow experience with the only highlight being the developing relationship between Schwi and Riku. Sure we have one of two intense scenes; but the humans do not fight against the other races and the notable ‘games’ that exist within the original series do not exist within this film. Fortunately Schwi and Riku do enjoy playing chess (similar to Shiro and Sora) but it doesn’t offer that same intensive vibes as the games within the main series. Nothing feels threatened or endangered – which it should considered at whats at stake – and instead the focus is solely on the characters. This is not entirely a bad thing but its obvious that these two characters are designed as representations of the main characters from the series. That aside this DVD release of No Game No Life Zero isn’t exactly the best in quality either; due to the dark nature of the film (and being a DVD) notable compression and banding can be seen during darker sequences. This mainly happens near the beginning but its off putting and disrupts the immersion. Audio presentation didn’t seem up to par as other releases either with the 5.1 Surround Sound track feeling rather tame that one would not expect from a film such as this – with long quiet moments and destruction battles not delivering the impacts you’d expect from a film in surround sound. Naturally this isn’t an issue with this DVD but its more down to its original Japanese production. Fortunately subtitle placement and presentation of disc menus remain as expected for a Sentai Filmworks authored release – so no complaints here. 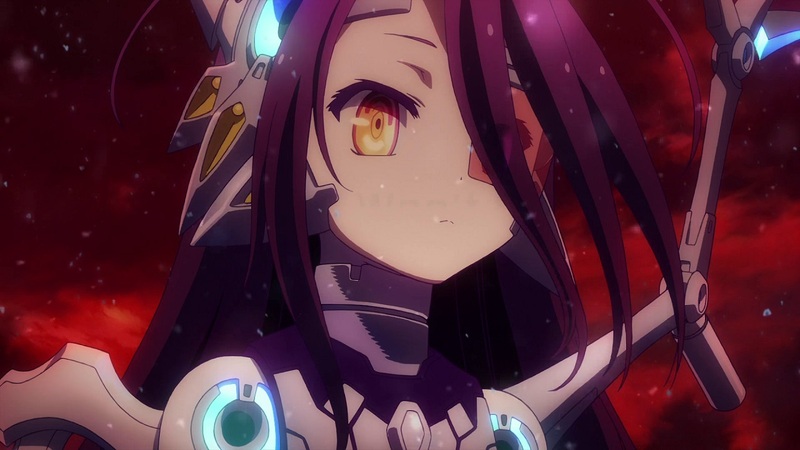 Overall MVM Entertainment’s release of No Game No Life Zero is a mixed experience; firstly with a story that divides its attention between salvation and romance and secondly with a release that’s average as far as DVD releases go. Bonus points are awarded for the supplementary content but as always the Blu-Ray will offer the superior experience. For No Game No Life fans then Zero is worth checking out; but it is a shallow experience that uses the original story as a foundation for its existence. No Game No Life Zero is now available on DVD and Blu-Ray within the UK.